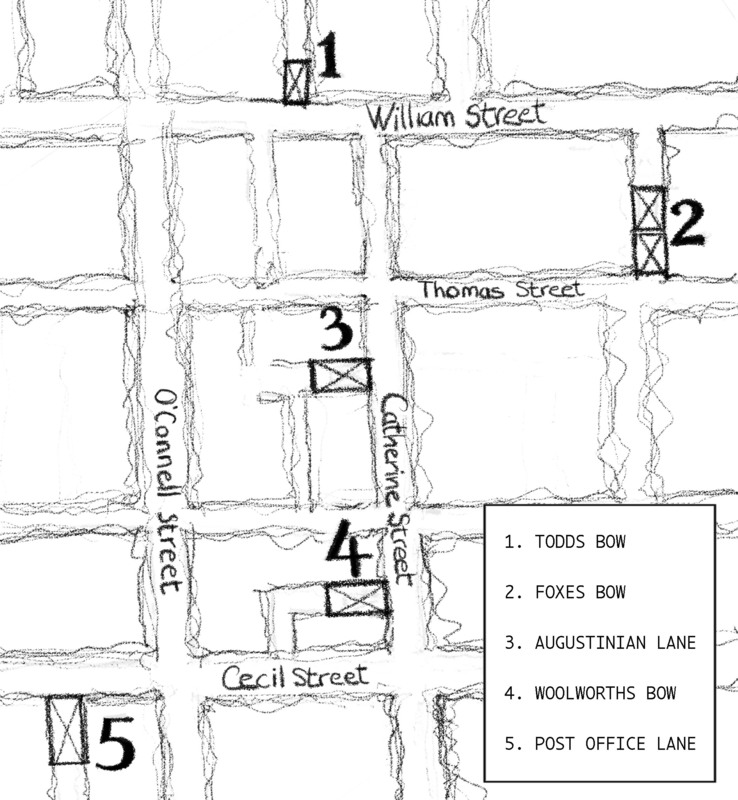 We paired 12 schools with 6 of the surviving lanes of Limerick City—Foxes Bow, Pikes Bow, Todd’s Bow, Augustinian Lane, Post Office Lane, and Woolworth’s Lane. Taking that age old dilemma—is light made up of particles, or is it a wave? —each school got to work, drawing, thinking and talking about light, but also researching their lane, it’s history, the people, places and businesses that once were there. These drawings now illuminate the entrances to 5 of Limerick’s lanes.